peanut butter chocolate chip blondies. 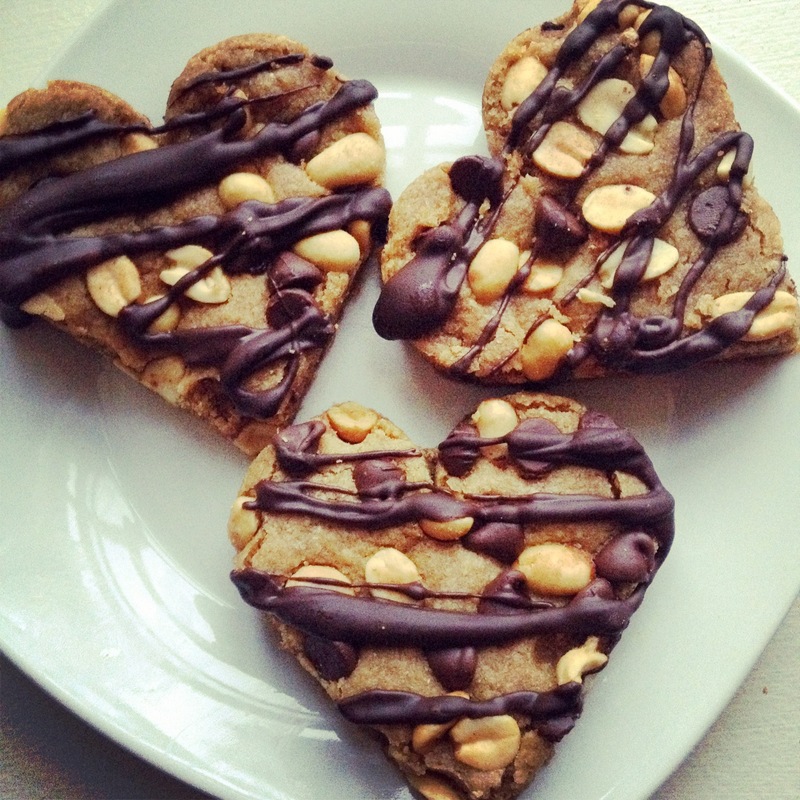 peanut butter chocolate chip blondie hearts. i made these earlier last week as a valentine’s day treat. 🙂 it’s an incredibly easy and simple recipe… and it turns out that they are completely vegan too (if you use almond milk and vegan chocolate chips). they are bursting with peanut butter flavor and the peanuts and chocolate chips sprinkled on top gives them a nice crunch. these are easily one of my favorite recipes! In a large bowl, mix together peanut butter, oil, and sugar. Stir in flour, salt and baking powder. The batter will be very thick. Transfer to baking pan and press it into place. 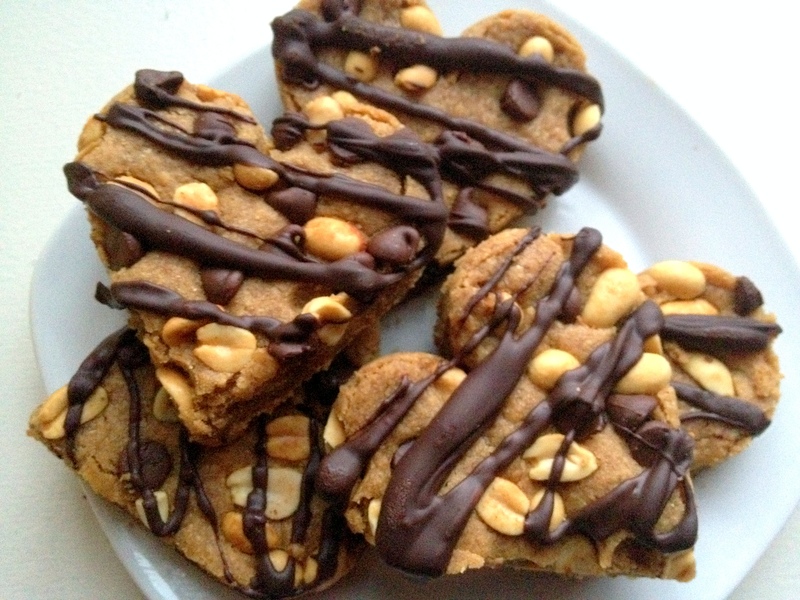 Sprinkle the peanuts and 1/4 cup chocolate chips on top, pressing them gently into the batter. Bake for 22 to 25 minutes, until the edges are just barely browning. The top will look very soft. Remove from oven and cool completely before slicing into squares or hearts. Melt the remaining 1/4 cup chocolate chips and use a fork to drizzle on top of each square/heart. Enjoy! « loaded sugar cookie bars. These are so cute. They sound delicious too! Sally, these blondies sound so delicious and they look so cute! Great job on them and thanks for sharing. You have a very nice blog and I’m glad to have found you! Oh yum! I love blondies! 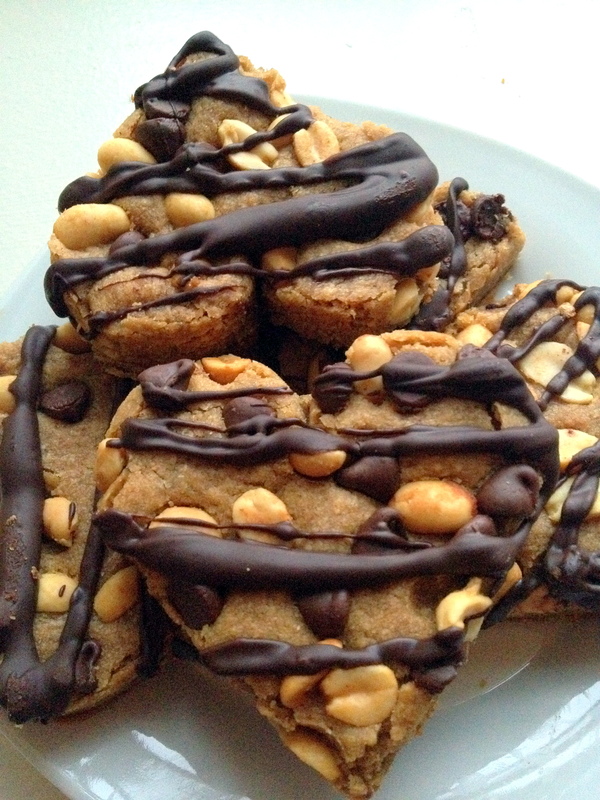 These look wonderful – can’t go wrong with chocolate and peanut butter! I can see why they’d be one a favorite. They look rich and delicious! These are sooo pretty! I love it. These blondies sound delicious! 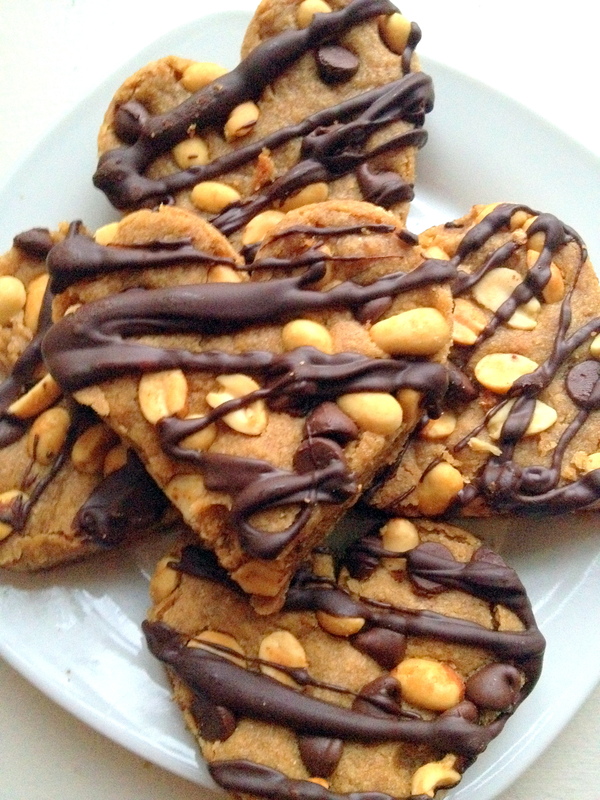 Peanut butter and chocolate is a perfect combination! Those hearts are aDORable…and they look delicious too! I’m such a sucker for anything chocolate and peanut butter!! Would you consider sharing this recipe here?